The 2015 Asian Football Confederation Cup represents one of the first major international football tournaments since the conclusion of the World Cup this past summer. The tournament, which is currently being held in Australia, represents a chance for certain sides to build on their showing at the World Cup, while others can redeem themselves from a poor showing in Brazil and start to build momentum for qualifying for the 2018 World Cup in Russia. The Samurai Blues have been the most successful team in the history of this tournament, having won the AFC Cup four times, including the last time the tournament was held in 2011. Japan is the overall favourite to win the tournament according to the major online books, going off at 15/8, but is coming off a poor showing at the World Cup. Japan is a notoriously high-scoring side with a freewheeling style, which is why Shinji Okazaki and Keisuke Honda are the top two picks for the tournament's top goal scorer. With the Samurai Blues' open style, over bets on goals could be a good wager on Japan matches. The Socceroos are not only the hosts of the Cup, but they also have one of the best goal scorers in the tournament in Tim Cahill. The Aussies are second behind the Japanese on Bet365 Sports to win the tournament at 9/4. Although they didn't win a match in the last World Cup, the Socceroos will have the benefit of the home crowd along with an entertaining style of play. They are in the same group with a quality South Korea side, so they might have a tough first knockout-round matchup if they fall to the South Koreans in group play. The Asian Cup has been a tournament that has seen upstarts win in the past, with Iraq coming out of nowhere to win the title in 2007. While Iran isn't that far off the radar, Team Melli, which is going off anywhere from 11/2 to 13/2 on various online books, isn't a bad team to get behind. The Iranians play a defencive, counterattacking style that frustrated Nigeria and Argentina in the World Cup, as it took a beautiful goal by Lionel Messi in stoppage time for Argentina to emerge victorious against the Iranians. Expect suffocating defencive football and low scores when Iran plays. While the Chinese don't have the football history of neighbouring Japan and South Korea, this tournament could help propel Team Dragon into the World Cup 2018 conversation. The Chinese struggled in World Cup 2014 qualifying after some quality friendlies before qualifying-round play, so this tournament could be what they need to gain some momentum. China is going from 10/1 to 14/1 to win the Cup and has a nice setup in Group B, as it is placed with a weaker-than-normal Saudi Arabia side, Uzbekistan and North Korea. If China gets a good draw in the knockout stage, it could be a sleeper. 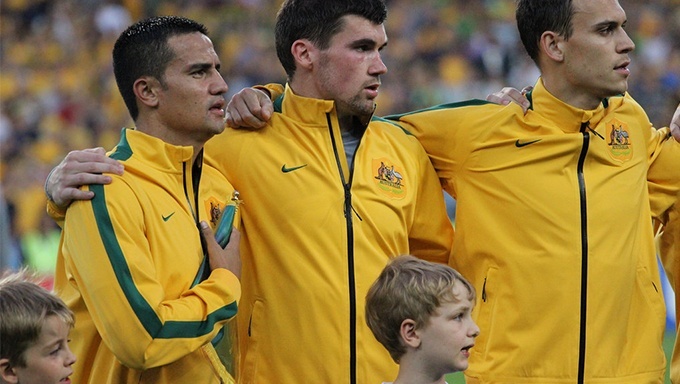 The 2015 AFCA Cup runs through the end of January, with the championship match being played January 31 in Sydney. Until then, though, there are plenty of online sports betting options for the wagering supporter; visiting these websites allows you to scour the fixtures, where you can make money-line bets on winners or draws along with over-under goal bets and in-play betting on individual matches in group and knockout play. Futures bets on group champions, tournament champions, and championship-match qualifiers, along with the highest goalscorers and more, can also be wagered on.